Today I added $1000 in HCP and $1500 in O. This will help increase my REIT exposure which was lower than I wanted. Since these companies are high yield, this amount will add around $135 in annual income. 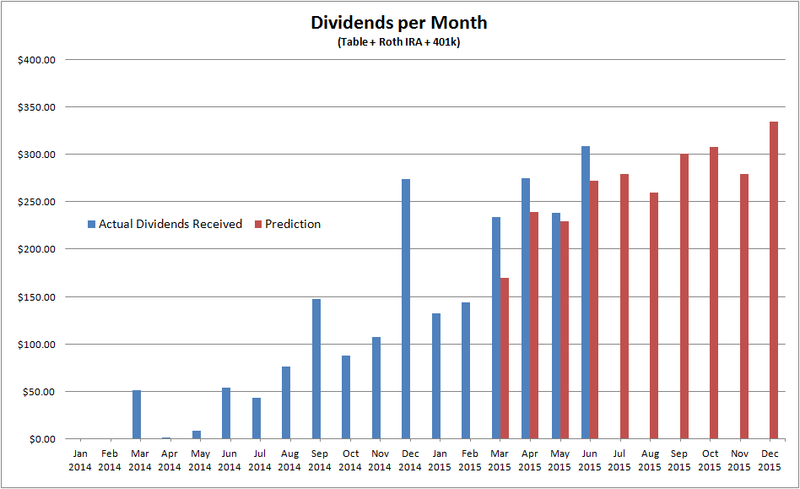 My dividends keep getting bigger and bigger each month! This is exciting to watch, although it is a very slow process that requires much patience. 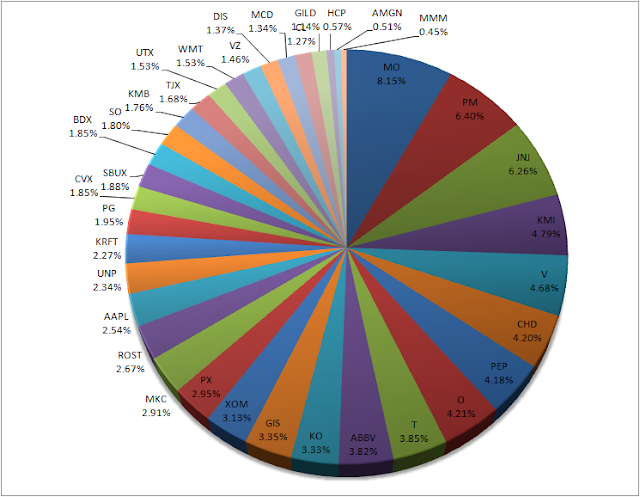 This month I cracked the $300 dividend received mark. 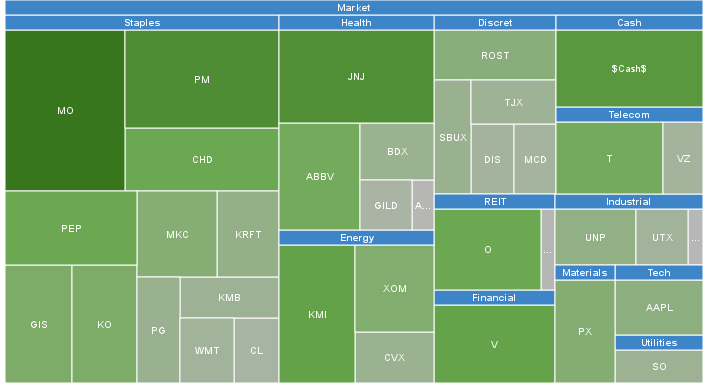 The largest payers this month are Johnson and Johnson, Pepsi, Chevron, and Exxon. All of which are dividend aristocrats with decades of dividend increases. Unlike the other companies in the list, Realty Income (O) pays monthly dividends so their total dividends received per year is also high. My goal is to receive over $300 for all months by the end of this year. So far the last month of each quarter seems to have met that objective barring any unexpected dividend decreases.